The Centers for Disease Control and Prevention reports that between 50 and 70 million Americans have a sleep disorder. Sleep problems can lead to unhealthy behavior and illness. Over the last few decades the medical community has come to realize just how important good sleep is to our health so more research has been conducted on problems such as sleep apnea and insomnia. A lack of sleep or insomnia is often associated with stress so it easy to see how studies have linked sleep problems with chronic medical conditions such as high blood pressure, inflammation, and heart disease. There is also a relationship between insomnia and not being able to function well during the day. When you are sleep deprived, you literally feel like your brain is drained. This makes it more difficult to focus, and sometimes you will have a short temper. Before you know it, not sleeping is ruining your relationship with people around you. While both genders face sleep problems, scientists have learned that men and women can be affected differently when they don’t get proper rest. Behavior testing and questionnaires have led researchers to believe that problems like insomnia contribute to obesity. While they haven’t changed their thinking, some now say that sleep impacts the weight of men and women in different ways. One of the latest reports on sleep problems in both men and women was just published in the journal ‘Sleep’. It shows that when you increase the amount of sleep you get, you tend to decrease the amount of food you eat; however, how men and women get to that decrease in eating is not the same due to hormonal differences. During the study, participants were examined under two sleep situations; short hours of sleep or habitual; which is about 9 hours. During short sleep ghrelin levels in men increased, but did not in women. As well, short rest reduced GLP -1 levels in women, but not in men. What does this actually mean? Researchers say it tells us that overeating related to short sleep is linked to increased appetite in men and a reduced feeling of fullness in women. The authors of the study say their findings demonstrate that there is a complex relationship between the length of time a person sleeps and the regulation of energy balance. This is not the only difference between men and women when it comes to sleep issues like insomnia. A report in the same journal shows that women have a higher risk of heart disease and heart related problems than men do if they are not sleeping enough. Perhaps even more startling are the results of a study by a team of researchers at UCLA school of Nursing. They discovered that sleep apnea; a disorder that causes the flow of air to pause or decrease during sleep, can cause more severe brain damage in women than in men. The researchers took patients diagnosed with sleep apnea and compared the nerve fibers in their brains with healthy people. As well, they concentrated on any signs of brain damage in both men and women. 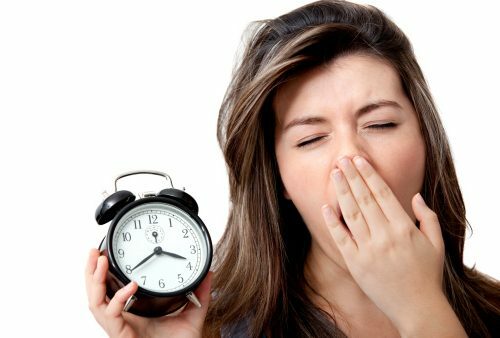 It appeared that women were more affected by sleep apnea than men and that in women the impact was in the front regions of the brain where decision making and mood regulations occurs. The women with sleep apnea experienced more mood swings and more depression. Some of the researchers involved in the study say the question remains…do sleep problems cause brain damage or does brain damage cause sleep problems? If you have trouble sleeping the National Heart Lung and Blood Institute offers helpful tips to deal with it. You should also talk to your doctor to rule out insomnia, sleep apnea or any other sleep related disorders.